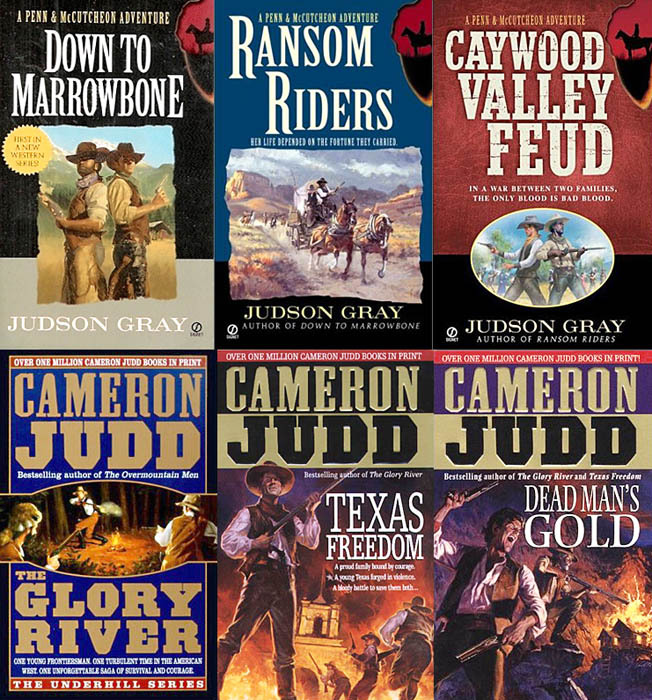 Texas Rangers Jack Carson and Eddie Brand have been hunting outlaw Lope Gamboa for some time without success, but when they ride into Yuma it seems their luck has changed. An assignment of US gold is to be transported along the Oxbow route by Conestoga wagon and the Rangers are convinced that Gamboa will attempt to steal the gold. As all the factions close in on the lumbering Conestoga wagon, the trail leads inexorably to a bloody climax in the Gila desert…. There’s enough twists and turns to this superbly plotted tale to keep any reader hooked as two sets of outlaws plan to rob the Conestoga, the lawmen try to second guess them and wonder why anyone would send a shipment of gold via a wagon, if indeed they have. 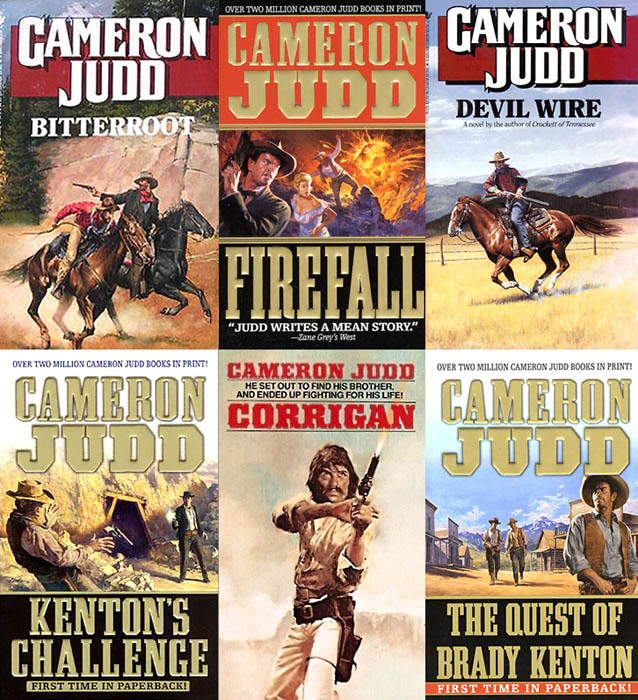 Jack Sheriff (real name John Paxton Sheriff) presents the reader with believable characters that will have you urging them onto success or failure. 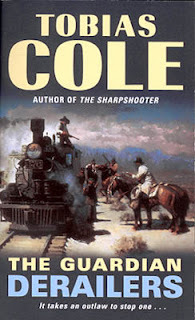 The book is packed with action, both gunfights and races against time, all told at the speed of a galloping horse and described in vivid prose. Jack Sheriff’s technique of finishing scenes by not quite telling you everything you want to know – such as did the first set of outlaws find the gold in the wagon? – makes it hard to put the book down before you’ve found the answers in a later chapter. And if that isn’t enough excitement for one book the author has a great surprise waiting at the end, regarding the identity of one of his main characters that I didn’t see coming. 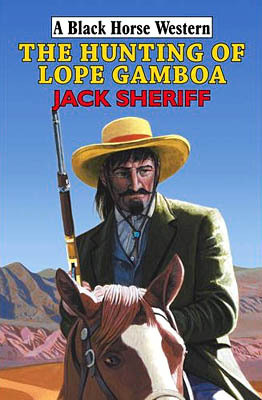 The Hunting of Lope Gamboa easily falls into the category of one of the best Black Horse Westerns I’ve read and is officially released today. If you want a copy don’t delay in putting in your order as BHW tend to sell out fast. Just had a quick look around the web for all things western, so I thought I'd make a quick post to point you to some of the things you may have missed. 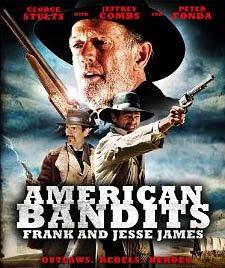 Henry has an excellent interview posted on his blog with film director Fred Olen Ray about his movie American Bandits: Frank and Jesse James. The interview contains lots of fascinating infomation about the problems of making westerns these days. 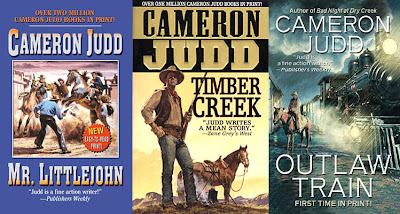 Craig has a post on Somebody Dies that should interest David Thompson's Wilderness fans - or those thinking of trying this long running series. He looks at two books in particular, #60 and #61 and offers some observations on the series in general. By the way Craig, I really like your tag line "Support Living Authors!" Something we should all try to do me thinks. 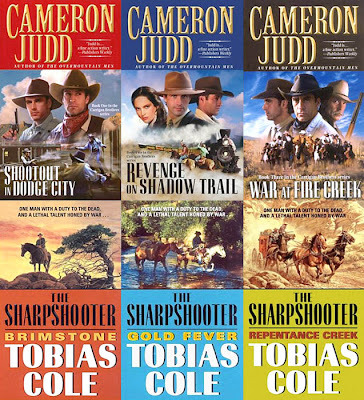 And for those who enjoy westerns with a different slant, both books and film, check out Mark's blog for reviews and information on coming titles. Gideon Kirk had lived on the edge of the law for ten years, both above and below the Rio. When he returns to Texas to take over his ailing father’s freight business, he truly believes that this is the deal he needs to shake off his past for good. But old enemies follow him and new foes appear. Soon Gideon is forced to face his past head on…. This book starts right in the middle of a shoot-out that brings Gideon more problems than he wants. Gideon is a gunrunner and one of his clients demands he finds him some Gatling guns. The death of Gideon’s business partner also adds confusion as to who owns the freight company. The new partner adds complications of a different kind, and the local lawman holds a grudge against Gideon that can only be settled by the death of one of them. So a whole host of challenges for Gideon to overcome and with so much happening in this tale the author tells his story at breath-taking pace making for a hard to put down book. The action scenes are well described, as are the frustrations Gideon experiences and you’ll soon be wondering how he can possibly come out o n top, never mind escape with his life. The author has all the answers though and finishes everything off with a very visual shoot-out. Gideon’s Guns proved to be an excellent read – but then again I somehow knew it would, as Jake Douglas is a pseudonym used by prolific author Keith Hetherington – and is a book that I’d say is definitely worth keeping an eye-out for. Gideon’s Guns has an official release date of June 30th and is available to buy now. Fargo is in the bustling town of Dallas at the request of one Abe Broxton. Abe’s stubborn son packed up and headed out west with his wife, without so much as a wagon train for protection. Worse, they were last seen heading across the Staked Plain – a violent wasteland where few come out alive. And the Trailsman is the only one who can find them. 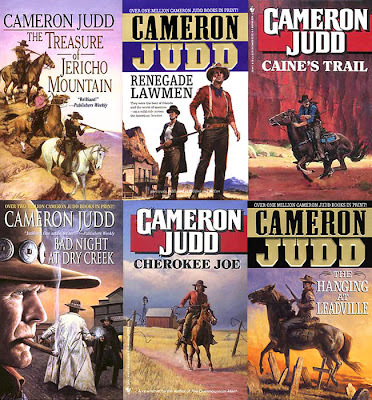 Skye Fargo is saddled with a group of characters that will test his patience to the limit. All these people well portrayed, providing a crazy mix that you just know are going to provide more than enough problems for the Trailsman. There are the two sons, one a weak coward who’s lost the will to live, the other who seems to enjoy killing. There is the servant who is a proud warrior, a man more than capable when he has to fight. Then there’s Evie who enjoys playing games with men and using them to get just what she wants. And it’s not just these people Fargo has to deal with, there’s the Comancheros who soon want them all dead. This great cast of characters allows the author (in this case David Robbins writing as Jon Sharpe) to fill the book with excellent dialogue, many times having me laughing out loud as Fargo’s frustrations boil over in sarcastic comments. The action is first rate and graphic. The story moves forward at tremendous pace and includes many cliff-hanger situations that defy the reader to put the book down before its end. A conclusion that really shows that Fargo can be as brutal as anyone else in the book and provides a just ending for one of the characters. Definitely a book not to be missed if you’re a fan of this series – or indeed of David Robbins writing. To his dying day, Monte Crawford never understood why he saved Grover Lang’s life. It was one of those unfathomable things – since it certainly wasn’t in his nature to help others. Whatever the reasons, Crawford’s uncharacteristic act of kindness leads to all kinds of unforeseen consequences: blood, mayhem and death, as the perilous journey to the legendary treasure of Santa Maria begins…. A story that begins during the Civil War, sees the two main characters captured and taken to a prison camp – during the march here is when Crawford saves Lang – and a friendship is born. Due to Crawford’s background you have to wonder as to how long that friendship will last and it isn’t long before Crawford steals from Lang and heads off on his own. 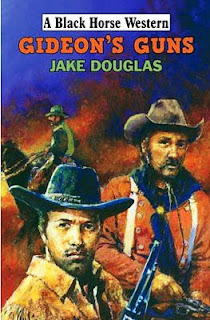 The author then sticks with Lang, follows him through the death of his brother and his taking on his brother’s family. Sees Lang begin to create a new and healthy life for himself. But all the time the author hints that Crawford will return and bring danger with him. The book is low on gun action but strong on storyline, the author creating some excellent characters. Lang is quick to forgive and re-forge his friendship with Crawford but is he really as gullible as he makes out? This in turn leads to a tense finale. 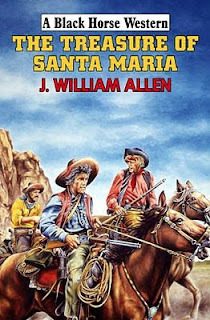 This is J. William Allen’s third Black Horse Western – although the author’s name is a pseudonym for a long-time writer of BHWs written under a variety a names. He has been a favourite of mine since I first read one of his books a long while ago, due to his well thought out plots and well observed characterizations, and this book, although not his best, strengthens my opinion of his writing. The Treasure of Santa Maria is officially released on June 30th but it is available now from Internet booksellers. When former soldier Jim Rennie finds a dead body at the bottom of Sandy Creek he realizes that his quiet life in Creeback valley is over. Reluctantly he begins to investigate. The dead boy was not one of the settlers nor a cattleman; nor was he part of their bitter land dispute. Nevertheless, Rennie suspects that the boy’s death is central to the feud. Settlers’ homes are being burned and Tom Rutherford, the man responsible, seems too powerful to be stopped. But Jim Rennie knows he must find a way…. This book contains much smaller print than the majority of Black Horse Westerns, meaning the reader gets a much longer story than usual. The blurb above indicates that this could be just another range war type of tale, and in a way it is, but the author has a few surprises in store to keep his story fresh, gripping, and entertaining. Having his hero, Jim Rennie, not wanting to get involved in the troubles around Creeback makes a change from having a hero who just steps right in to right wrongs without a second thought. Of course the reader knows that Rennie will be drawn into the conflict but it takes some doing. Both sides believe he’s working for the other . Rennie gets beaten up and knocked unconscious numerous times and plods through the action in a weakened state for most of the book. There’s plenty of well-written action. Surprises as to who is riding for the land-grabber and just who that person is. A surprise, too, as to just what Tom Rutherford’s role in all this is. I don’t know anything about A. Dorman Leishman, and this is the first BHW to carry that authors name, but what I do know is I enjoyed this book very much and can only hope it’s not too long before another is published. Creeback has an official release date of June 30th but should be available now from all the usual Internet booksellers. 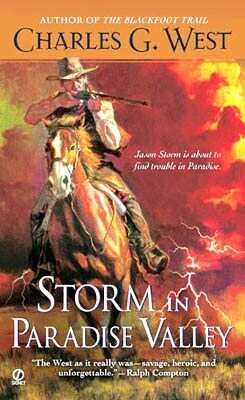 Jason Storm has had career any lawman could be proud of, but now he’s ready to take off the badge and begin a peaceful life as a modest cattle rancher. With the help of a generous and kind benefactor, Storm is able to make a fresh start in Paradise Valley. But six hardcases have other plans as they raid the ranch of Storm’s backer, killing him and bushwhacking his men. After the massacre the outlaws decide to take the town for themselves. With a cowardly sheriff, an inexperienced young deputy, and a rising body count, Paradise is in desperate need of rescue. It’s time for Jason Storm to load up, mount up, and clean up the town. Charles G. West fills this book with an excellent cast of characters, and he spends as much time telling you what many of these people are doing as he does with his hero, Jason Storm. As well as strong male roles he includes equally strong women, one of whom isn’t scared of using a firearm on her enemies. There’s plenty of action, some quite brutal at times, and you’ll soon be wondering just who will be left alive at the end. The pace of the story is fast and it flows easily, sweeping the reader along effortlessly. Overall I found this story to be a very entertaining read and even before finishing it I had ordered a few more of Charles G. West’s books, and I’m looking forward to reading these soon. The son of a prosperous Arizona rancher, Boone Scott is content to raise cattle for the rest of his days. His brother, Eppley, is another story. Dangerously dissatisfied, he secretly plots to take over the family ranch. When Epp pays an assassin to kill his brother, Boone’s lightning-quick hands leave a fistful of dead men behind. 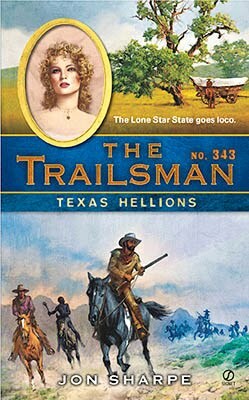 Unaware of his brother’s treachery, Boone flees and soon faces danger from hired gunmen, horse rustlers, and wild Apaches. If he can survive all those threats, he just might come up against the deadliest peril of all: a showdown with his own flesh and blood. This is a book that should have you thinking as to how one brother can be such a contrast to the other in his personality. Eppley and Boone are fascinating characters that made me wonder how one could be pure evil and the other almost the total opposite. Are these traits they were born with or is it their chosen lifestyle that brings out the good and bad within them? Eppley and Boone aren’t the only memorable characters in this fast moving tale; there’s also Drub, Old Man Radler, and Sassy, to name a few. As to be expected in a book by David Robbins there is plenty of action – brutally savage at times – and a lot of great dialogue, both thought provoking and often humorous too. The books builds well with the growing horrors of Eppley’s atrocities leading to the inevitable showdown between th e two brothers that can’t help but leave you thinking about the answers to those questions I mentioned above. 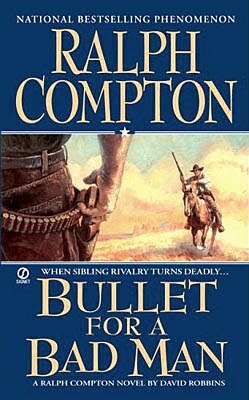 To those who won’t read the Compton books written by anyone other than Compton himself, then I’d say you’re missing out on some excellent reading and Bullet for a Bad Man should more than justify that statement. 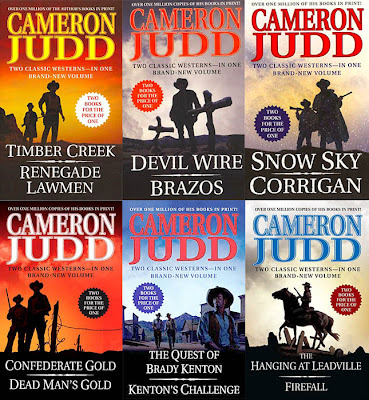 When Jake Cahill and his gang take over the town of Ponderosa, sawmill magnate Fletcher Comstock sends for his friend and former town marshal Matt Stryker. When Stryker arrives though, Cahill is waiting. He gelds Stryker’s fine Arabian stallion and beats Stryker terribly, disfiguring him for life. But Stryker will not give up. Bearing the scars of his beating, he returns to Ponderosa to pin on the marshal’s badge. 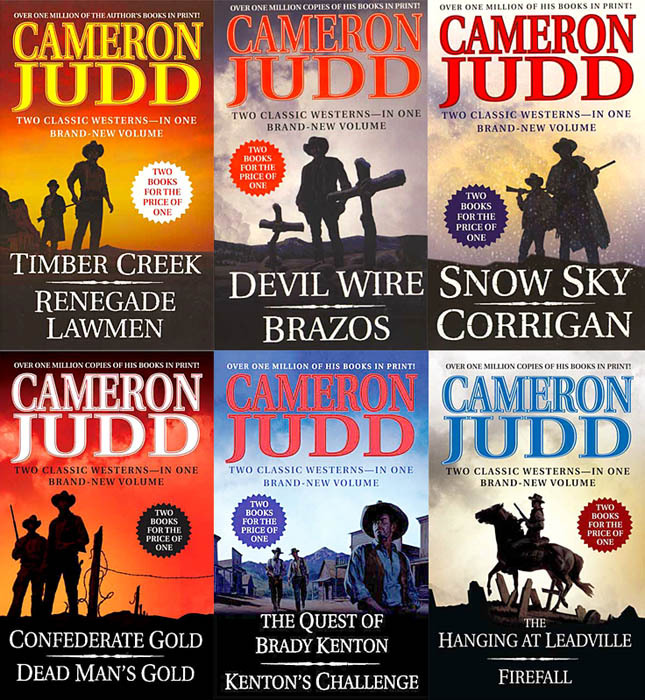 Matt Stryker must tame a rowdy town and get rid of the ruthless Cahill gang as the guns of Ponderosa blaze and blood runs red in the Arizona high country. 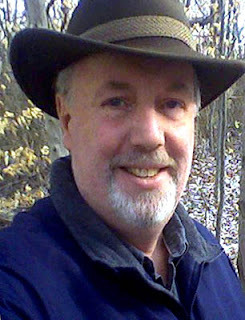 Chuck Tyrell has written a book full of interesting characters, not in the least Matt Stryker, who not only has to battle against Jake Cahill and his men, but the town newspaper woman who campaigns for his removal from office due to his tough, and often brutal, methods of dealing with those who break his laws. There is plenty of action and the tale moves swiftly along to its violent final showdown. Chuck Tyrell’s writing is very visual and he also does well in creating tension, particularly between Cahill and his own men, especially the man known as Breed. All through the story I wondered as to just whose side Breed was on, and this kept me reading to find out. 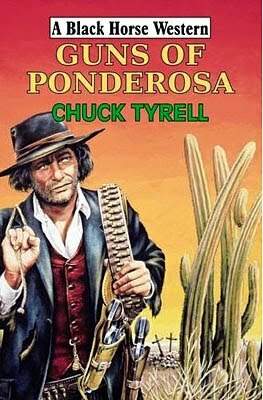 This is the first full-length story I’ve read by Chuck Tyrell – I’ve read, and enjoyed, a few short stories of his – and this book has me wanting to check out his previous three Black Horse Westerns. 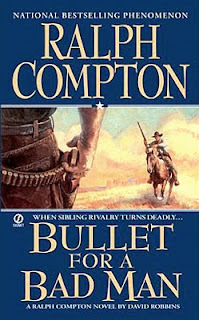 As you’ll see from the date above Guns of Ponderosa came out a few months ago and Chuck Tyrell’s (author Charles T. Whipple) latest BHW, The Killing Trail, is available now, even though many Internet booksellers have it listed with a publishing date of August, so I’d suggest if you want a copy you don’t delay in ordering before it sells out. This book starts with a woman in a jail cell, a woman who won’t talk, a near crazy woman. Kane appears in the doorway, he recognizes her, she him. Gunfire erupts. Chapter ends. Most of the rest of the story goes back in time to explain events leading up to the opening scene. 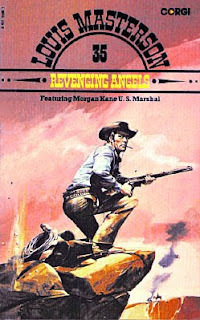 Overall Louis Masterson has written a fairly straightforward, almost traditional western here, dealing with the Revenging Angels hunting down women who try to escape from Mormon marriages. Kane also works with a partner on this case, although Ed Zachary isn’t in the story that much. Masterson (real name Kjell Hallbing) fills the book with tough, and often merciless, characters and soon has Kane fighting for his life, and if it wasn’t for that opening chapter, you’d expect the book to conclude how you’d imagine. Yet this is a Morgan Kane book and they, more often than not, have a savage ending that will leave Kane with emotional scars and this one does that it style, giving the book a powerful, and sad, ending. Perhaps not the best Morgan Kane story, but definitely one not to miss if you follow the series due to that ending and how it’s going to impact on Kane in following books. The idea of being a writer appealed to me ever since I was a child, and along the way teachers encouraged me and told me I had writing talent. I majored in journalism so I could use that talent. It wasn’t until I was about to complete my undergraduate degree, however, that I decided to try my hand at fiction, an area in which I had no training. 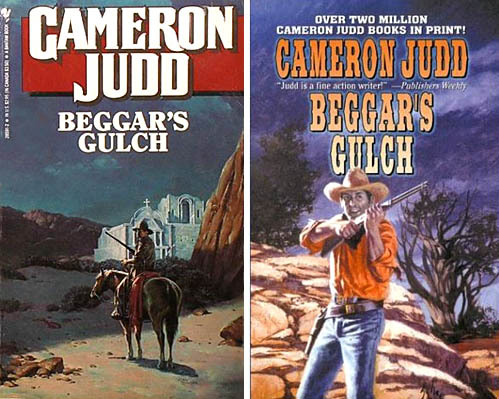 My first novel was a western with a title that I thought was great at the time, but which strikes me today as a little corny: BEGGAR’S GULCH. It sold quickly to a publisher and later was picked up for republication by Bantam Books. Mark Twain’s stories and style influenced me greatly. I’ve learned a lot about storytelling from reading everything from Mickey Spillane through C.S. Lewis. John Grisham is one of the best out there in terms of engaging the reader and pacing the story. In westerns, Louis L’Amour of course is influential. For me, though, Loren Estleman is the perfect western storyteller, particularly for stories told in the first person. Well, the two I’ve mentioned, L’Amour and Estleman, but others too: Elmer Kelton, Frank Roderus, Peter Brandvold and Ralph Cotton, to name a few. 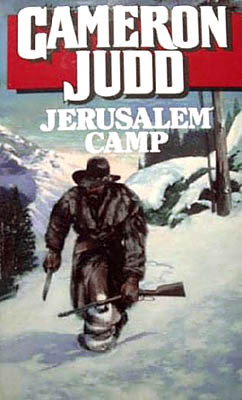 Probably JERUSALEM CAMP, because it is an unusual western that involves a mysterious serial killer stalking a California mining town. Just different enough to make it stand out. Plus, it has never been reprinted and so would be a fresh book to most readers. Many of your books seem to be part of trilogies. Did you plan to write trilogies or was this something the publisher asked for? A combination. Trilogies just seem to work. 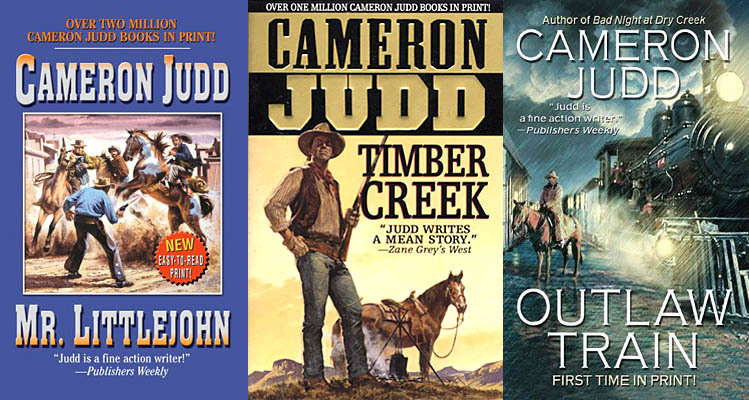 Stories often divide naturally into three parts, and from the publisher’s perspective, a trilogy allows publication of a series without an overly long commitment. Usually I focus almost entirely on one book, but will sometimes work a little on a second one at the same time. Do you prefer to write in the first or third person? Usually third, because first person is a limited perspective. But some stories are ideal for first-person. First-person can enhance the reader’s sense of being inside a character’s skin. 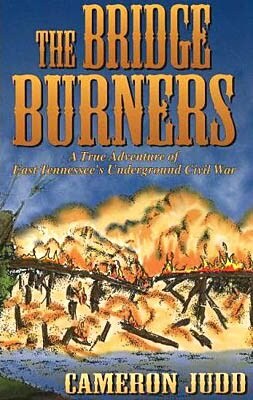 Your book “The Bridge Burners” is about the Tennessee Underground during the Civil War and I was wondering how you went about researching this? Most of the research that led to THE BRIDGEBURNERS was actually done for my MOUNTAIN WAR TRILOGY of Civil War novels for Bantam. Because the Bridgeburner incidents happened largely in the same area in which I live, Northeast Tennessee, it was relatively easy research. 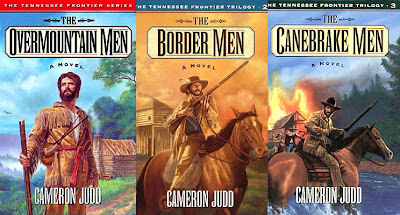 The Bridgeburner affair ended up being only a small part of the Mountain War novels, though, and I had lots of detailed material left that I thought would be of interest to readers. So I put together THE BRIDGEBURNERS, first as a desktop publishing project and then as a book published by Overmountain Press in Johnson City, Tennessee. It is my only nonfiction work to date. 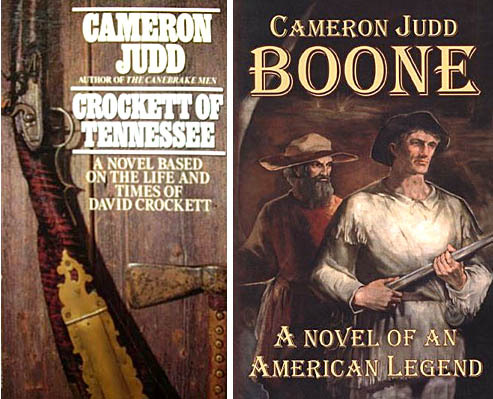 You’ve written books about Boone and Crockett, why did you choose these two historical figures to write about? Crockett came about after my Bantam Books editor visited me in Tennessee and we stopped by the Davy Crockett birthplace site not far from where I live. He conceived the idea of a Crockett historical novel after that visit. Once I was signed for Crockett, it made sense to also do Boone in that the two of them are America’s most famous frontiersmen. 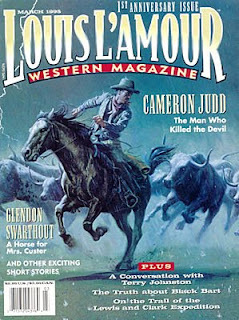 You had a short story (The Man Who Killed the Devil) published in the short-lived Louis L’Amour Western Magazine. Do you find short stories as easy to write as a full-length books and have any other short western stories appeared anywhere else? For me, short stories are actually harder to write than full-length novels. It requires more effort to tell a story within tight word-count limits. I have great admiration for short-story writers. 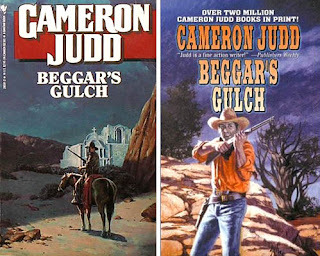 I have no other western short stories in print beyond the one you named. 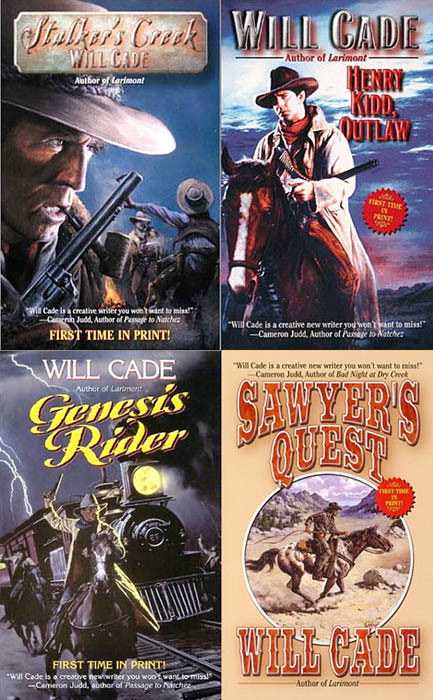 Sadly Harper ceased publishing westerns after putting out just one book in your “Guardian” series. Did you have any others written and if so what became of them? I started on the second novel of that trilogy, but ended up unable to finish it due to conflict with the full-time job I had at that point. I was simply too overwhelmed and stressed in my personal professional life at that time to write. So the trilogy just didn’t happen. I don’t blame the publisher. Have you written westerns under any names other than Cameron Judd, Judson Gray and Tobias Cole, and if so can you tell us what they are? I did a few novels under the name Will Cade in addition to the names listed above. Some of your books have been produced as audio novels, what do you think of how they turned out? I think they were fine. I never listened to any of them all the way through. MR. LITTLEJOHN is a good story told well. It is written in first-person, which is rare for me, and has an interesting cast of characters. TIMBER CREEK is a good novel with plenty of action. My latest western, OUTLAW TRAIN, is engagimh and has some nicely quirky characters. The recently published “Outlaw Train” is your first new western for a few years. I believe you’re working on another called “Spurlock”. When can we expect to see this on the shelves, and will there be any more after that? I don’t yet know when Spurlock will be published. 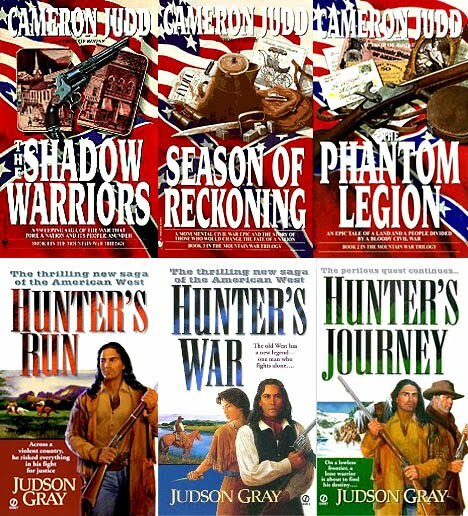 There will be other books later, including a new historical novel, THE LONG HUNT, which is not a western as such, but a historical novel more in the vein of my THE OVERMOUNTAIN MEN. The western genre is alive and will continue, though I doubt it will ever be as dominant as it was in the mid-20th century when writers could make a living churning out western short stories for pulp magazines. 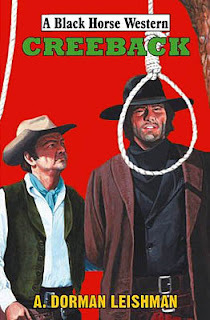 Though the westerns market isn’t what it once was, it is still there, and there remains a demand for westerns that keeps the genre going through all the ups and downs. I have a gut feeling we are going to see a small western resurgence over the next couple of years. That’s really all it is, just a gut feeling. Have you written in other genres, and if so what? I have not written in other genres than western and historical … yet. But I am putting together a contemporary thriller set in a small Tennessee town similar to my own, centering on the small-town newspaper business, which I used to be involved in. I know the story is good and I know I’ve got the ability to tell the story well. Not immediately. I don’t believe paper books will ever fully disappear. But as more and more people become accustomed to getting their information and entertainment through hand-held electric devices, books will inevitably become more and more part of that world. Even so, there is something wonderfully low-tech about a paperback novel. If you take it to the beach on vacation and the tide sweeps it away, it’s not the same as losing an electronic reading device. It’s replaceable without a lot of expense. Probably THE OUTLAW JOSEY WALES for its characters and atmospheric qualities. I also much enjoyed TOMBSTONE. 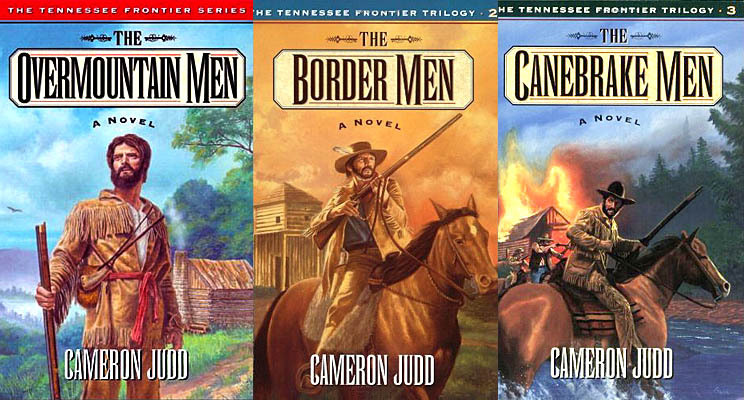 I don’t read westerns, oddly enough. 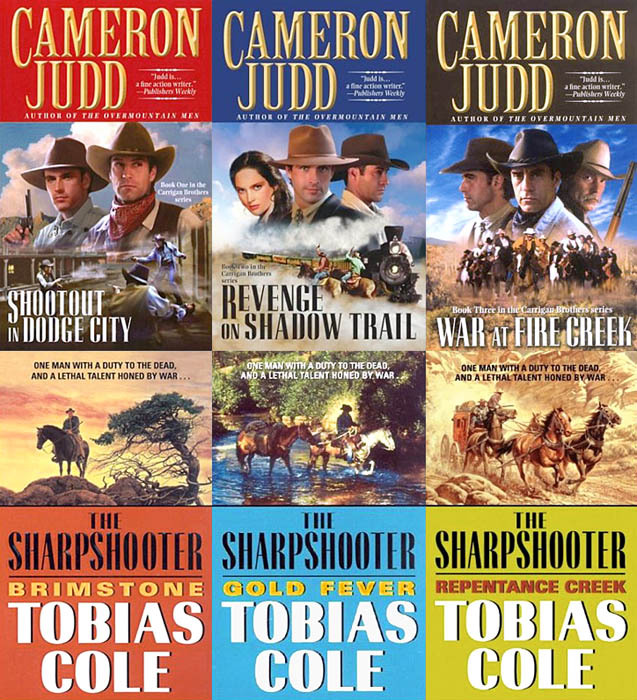 Westerns represent my work life, not my off-time when I’m reading to relax or divert myself from the routine. I read Grisham, King, and the occasional impulse-buy novel by some unknown writer because a title or cover or concept grabs me.